In a bourgeois apartment building in Paris, we encounter Renée, an intelligent, philosophical, and cultured concierge who masks herself as the stereotypical uneducated “super” to avoid suspicion from the building’s pretentious inhabitants. Also living in the building is Paloma, the adolescent daughter of a parliamentarian, who has decided to commit suicide on her thirteenth birthday because she cannot bear to live among the rich. 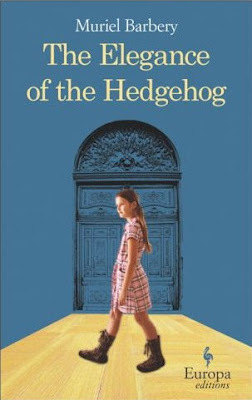 Although they are passing strangers, it is through Renée’s observations and Paloma’s journal entries that The Elegance of the Hedgehog reveals the absurd lives of the wealthy. That is until a Japanese businessman moves into the building and brings the two characters together. 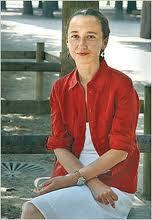 A critical success in France, the novel may strike a different chord with some readers in the U.S. The plot thins at moments and is supplanted with philosophical discourse on culture, the ruling class, and the injustices done to the poor, leaving the reader enlightened on Kant but disappointed with the story at hand. I think a lot was lost in translation from French to English, rendering some of the philosophical texts awkward French humour came accross heavy footed. However this is a delightful narrative, you will find the typical class division which exists in France and on which this book relies for it's tale of a deceptive "concierge". I did enjoy the book, being French perhaps I noticed where the French version might have been a better choice. If you read in French, choose the French version. I have heard the complaint that this book wouldn't work in English before. I have read it in Italian, a language closer to French than English is, and I liked it, though I share your opinion that the plot is thin. I had the impression that the book constantly "blinked" at the cultured audience. When you read it, you're constantly saying "oh, I've read this author", or "I got this reference", but sometimes you're frustrated because you haven't read that book or seen that film. I read your revue and can tell the French version would have been superior, still I enjoyed this book a lot. You are right I did get that impression to. The plot was allright and the ending nicely wrapped up.